In just a couple of weeks, the new season of "Survivor" takes 20 castaways to the Cook Islands in the middle of the Pacific Ocean. They will be split into four tribes, but how they will do that is guaranteed to be a talking point. For the 13th installment of the series, producers have yet another controversial way to begin the game: 20 people, four tribes — each divided by race. Jeff Probst is back as host of "Survivor: Cook islands" and spoke with The Early Show co-anchor Harry Smith about the controversial new season, which premieres Sept. 14 at 8pm ET on CBS. Smith asked Probst whether the new way of dividing the "Survivor" contestants was a good idea for a reality show. "Well, that's probably one of the reasons it will be interesting and controversial, maybe, as you say. I know, from where I sit, I found it to be one of the freshest ideas we've had going back to the beginning of this show in season one," said Probst. Smith asked him if this new twist was taking the reality show too far. "I think at first glance, when you just hear the idea, it could sound like a stunt. Especially with the way reality has gone, it wouldn't be unusual. But that's not what we're doing here. The idea for this actually came from the criticism that 'Survivor' was not ethnically diverse enough," he said. "Because, for whatever reason, we've always had a low number of minority applicants apply to the show. So we set out and said, 'Let's turn this criticism into creative for the show. I think it fits in perfectly with what 'Survivor' does — it is a social experiment. And this is adding another layer to that experiment, which is taking the show to a completely different level." How did the new players react when they were told they would be divided by race? "The reaction was mixed. (Contestant) Yuhl wasn't sure. Yuhl was concerned we were going to turn this into something that would show stereotypes and reinforce them," Probst said. "On the other hand, you have people like Rebecca, who said, 'I don't really care how you divide it because I know that I need a certain amount of people to be on my side to help me get through this.' Ultimately, to win this game, you're voting people out that are then on the jury that have to come back and vote for you. So, the person who wins is actually going to do the best job of merging with all different ethnicities." 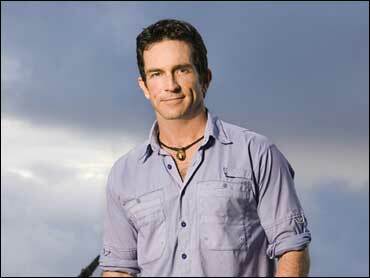 2Smith asked Probst if he thought the tribal divides would divide the viewing audience as well. "I think it's very likely," he said. "In fact, our original idea was simply to have the most ethnically diverse group of people on TV. It wasn't until we got to casting and started noticing this theme of ethnic pride that you're alluding to. So, yes, I think it's very natural to assume that certain groups are going to have audience members rooting for them simply because they share ethnicity. At the end of the day, I think it will come down to what it always comes down to: who do I like?"